The European Commission’s push to rewrite the EU’s Third Gas Directive is doomed, but Brussels has not withdrawn its proposal because it is preparing a “grand bargain” with Russia, experts told a EURACTIV event on Wednesday (5 September). 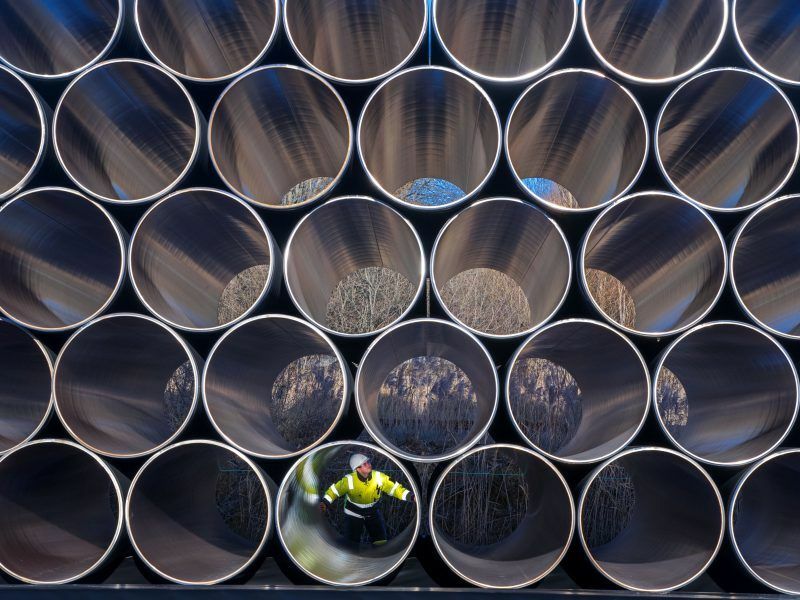 The European Commission, with backing from Poland, has tabled an amendment to the European gas directive, aimed at stopping construction of the Nord Stream 2 gas pipeline. But the amendment is blocked in the EU Council of Ministers, where it is unable to gather a qualified majority from the 28 EU member states. Speaking at a EURACTIV event on Wednesday (5 September), gas market experts said it was unlikely that the amendment will be withdrawn, because the Commission is preparing a “grand bargaining” with Russia. Ten EU member states support Poland’s position which calls for accelerating work on the amendment to the European gas directive, aimed against the construction of the Nord Stream 2 gas pipeline. EURACTIV Poland reports. Luca Franza, a researcher with Clingendael, said the main reason why the proposed amendment is still on the table is because the Commission wants some leverage while negotiating what could be a “Grand Bargain” with Russia. He said that at the end of 2019, the transit contract via Ukraine will come to an end, and new terms need to be negotiated. 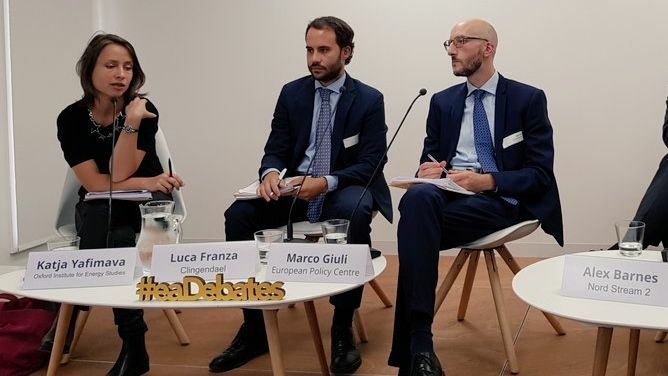 “It’s possible that this proposal to amend the third gas directive to such an extent is also there to signal to counterparts that the willingness to act is very strong,” Franza said. He added that other components of the ‘Grand Bargain’ could include the Commission’s recent ruling on the Gazprom anti-trust case, as something that changes the way Gazprom operates in Eastern European EU countries that “bring a certain agenda in EU institutions”. He also said that even if the proposed amendments are passed, it is doubtful that they would bear the fruits expected by those that proposed it. A lot of legal disputes could ensue, it could be the case that the sovereignty of states to decide their energy mix would be infringed, and a lot of claims could be brought by southern European pipelines that receive offshore imports from north Africa. Marco Giuli, a political analyst at the European Policy Centre (EPC), said it was not certain if we should talk about concessions, because the main concession by Gazprom under the anti-trust case was obtained against the threat of a huge fine. Katja Yafimava, a senior research fellow at the Oxford Institute for Energy Studies (OIES), said the whole raison d’etre of the third gas directive amendment would disappear in case of an agreement guaranteeing the continuation of a certain amount of gas transit via Ukraine. This, in her words, was an objective backed by all EU member states. 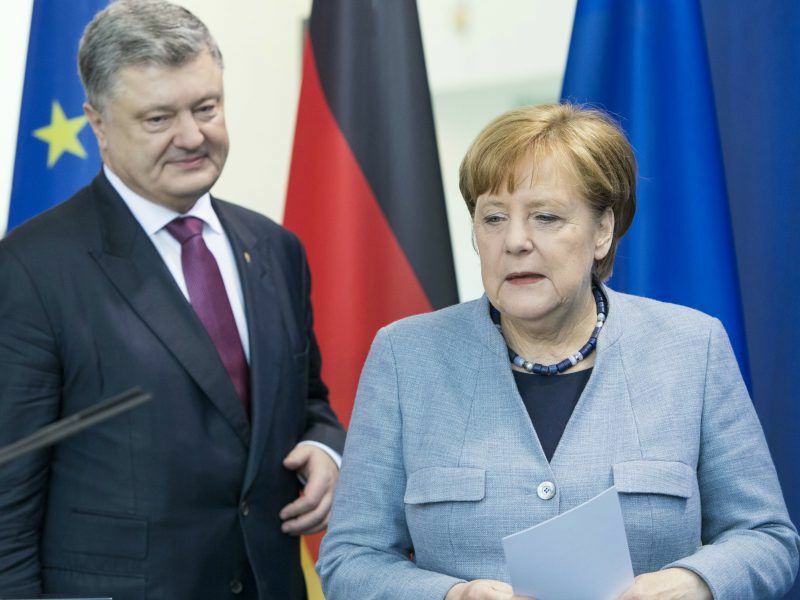 German Chancellor Angela Merkel said today (10 April) that plans for a controversial second underwater pipeline to bring gas from Russia could not go forward without Ukrainian involvement in overland transit. She added that there was a high chance of obtaining such an agreement under the trilateral mediation (Russia-EU-Ukraine), perhaps also involving Germany. But she warned that time was running out, not only because the Commission is near the end of its term and the transit agreement expires, but because it could end sooner than that, as Gazprom has started an arbitration procedure which could end up with a decision to terminate this contract earlier. She also warned that if the Commission pushed forward with the amendment of the gas directive, this could undermine its position as a mediator at the trilateral gas talks and its chances to strike a deal to retain a part of the Ukrainian transit. Asked about the risk of US sanctions against companies involved in Nord Stream 2, Yafimava said such a scenario could create a “very dramatic rift” in transatlantic relations. She referred to a recent interview with veteran German diplomat Wolfgang Ishinger, who said that the longer Donald Trump stays in office, the higher the risk that anti-American forces will gain the upper hand in Germany and push it into the arms of Russia and China. 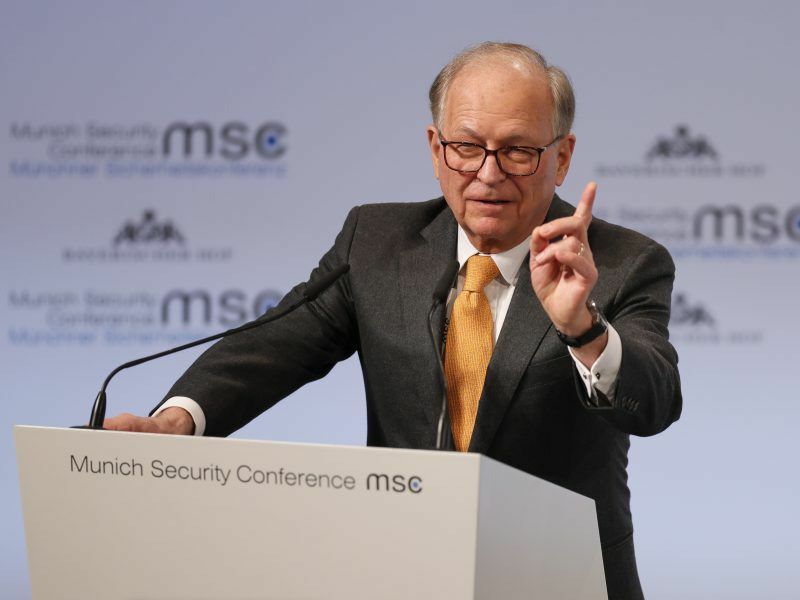 The longer Donald Trump stays in office, the higher the risk that anti-American forces will gain the upper hand in Germany and push it into the arms of Russia and China, veteran German diplomat Wolfgang Ischinger said in an interview. The future of US LNG in Europe was also discussed. Although the prevailing view was that China is a great market for this commodity, which is more expensive than Russian gas, Giuli warned that a lot will depend on the future of the severely damaged US-China relations. MEP Knut Fleckenstein (S&D, Germany) addressed the EURACTIV debate with a video message. He said he was surprised with the timing of the amendment of the Third Gas Directive, because the Commission planned to submit a comprehensive Gas Market Design package in the next legislative term. He added that he did see any reason not to wait until the planned comprehensive package next year. “The proposal was and is highly controversial and I take a very critical view of it as well. Especially because it is obvious that we are talking about a “Lex Nord Stream 2”. Internal European regulations, for example third-party access, should now also apply for gas pipelines to and from third countries”, he stated. Fleckenstein reminded that the legal service of the Council provided a very critical opinion showing that there were two problematic points: first, the compatibility of the proposal to the exclusive economic zone of the member states with the UN Convention on the Law of the Sea, and second, the applicability to several projects that have already been approved. The MEP reminded that the Commission did not receive a mandate to negotiate Nord Stream 2 on behalf of the member states.